Reporter Zach Toombs and videographer Kevin Clancy talk about the unique challenges of filming an explosive kind of coal mining. Researchers say mountaintop removal sites are pushing toxic material into water and air for surrounding communities in West Virginia. But to see one of these sites up close, you have to get a little creative. 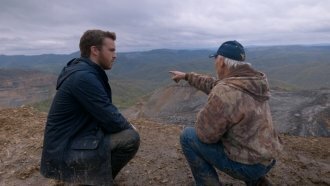 In this debrief after the second episode of Newsy's series "Revolt," reporter Zach Toombs and videographer Kevin Clancy talk about how they captured scenes of mountaintop removal from the ground and air.